Your final breast size and shape will depend on the size or volume of the breast implant that is used. Saline breast implants are available in sizes from 150 cc to 700 cc and can each sized implant has a range for saline fill. For example a 425 cc saline implant can be filled with 425 to 490 cc of saline. Silicone Implants only come in certain sizes are available from 100cc to 950 cc in 25 cc increments. For example 500 cc, 525cc, 550cc etc. Women will often have the same size breast implant used for both breasts filled to the same volume but there may be situations where different fill volumes are used especially if there is a significant size difference between the breasts. Occasionally different sized implants are used if there is a large size difference between the breasts. A small amount of overfill of the breast implants may also be performed. 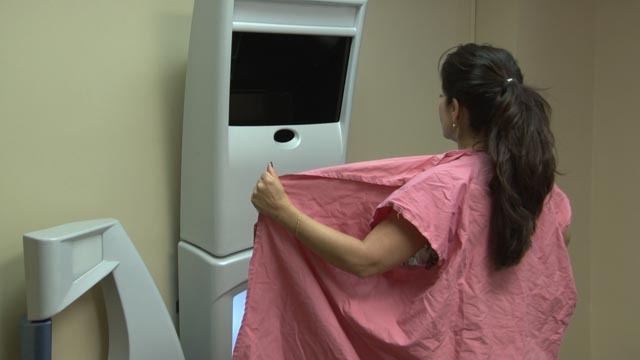 During the consultation, there will be extensive discussion with you regarding your goals for breast size and shape. Sizers can be used to assist in determining the size. This is done in the office during your consultation. Different sizers can be inserted between your breast and your bra and the appearance can be examined to see if it achieves your goals. Looking at pictures from Dr. Lo’s extensive before and after gallery, pictures of breasts that you have found on the internet or magazines can also be helpful in determining your desired breast size and shape. Now, you can take advantage of state of the art technology with Dr. Lo’s Vectra 3D imaging machine, which will simulate what different sized implants might look on you after breast implant surgery. The imaging machine takes a picture of your breasts and through the software, we can profile different sized implants, different profiles, saline or silicone, and from different manufacturers Mentor, Natrelle, Sientra and compare the different simulations side by side. This way, we can pick the best implant for you to give you the best look possible. Dr. Lo uses intraoperative sizing to determine the most appropriate size for each patient. During your surgery, a temporary breast implant sizer is placed and different volumes are assessed to determine the volume that will be required to meet your goals. The breast implant sizer is then removed and the permanent implant with the proper volume is inserted. This is all done at the time of your breast enhancement surgery. The breast implant procedure from beginning to end usually takes approximately one hour. Although most women can obtain almost any size they desire, there may be limitations on what can be achieved and depending on the individual situation it is important that the patient be realistic about their goals and wishes.